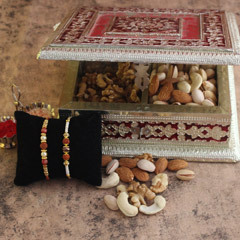 Little gesture of gifting this fabulous and heart winning Rakhi gift combo to brother will be loved and admired by him. 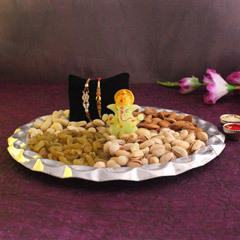 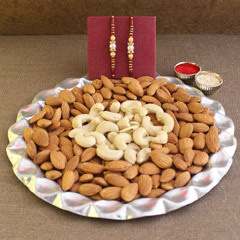 It’s because your brother will love the beautiful Rakhi of the combo that will beautify his wrist and will give him a healthy cashews to munch on. 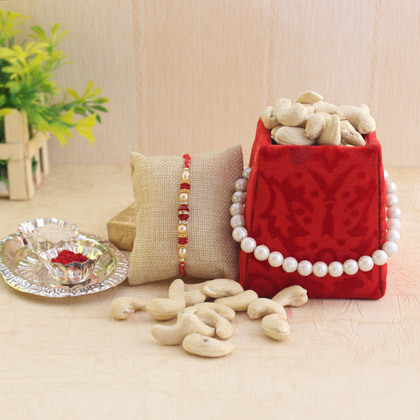 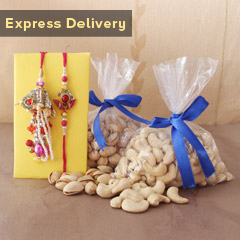 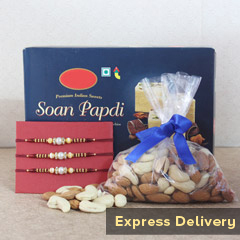 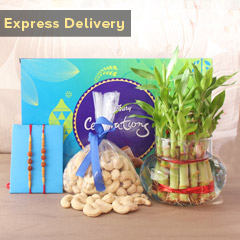 Also, he is sure to love the pretty box for cashews with pearl handle.